Everything was perfect. 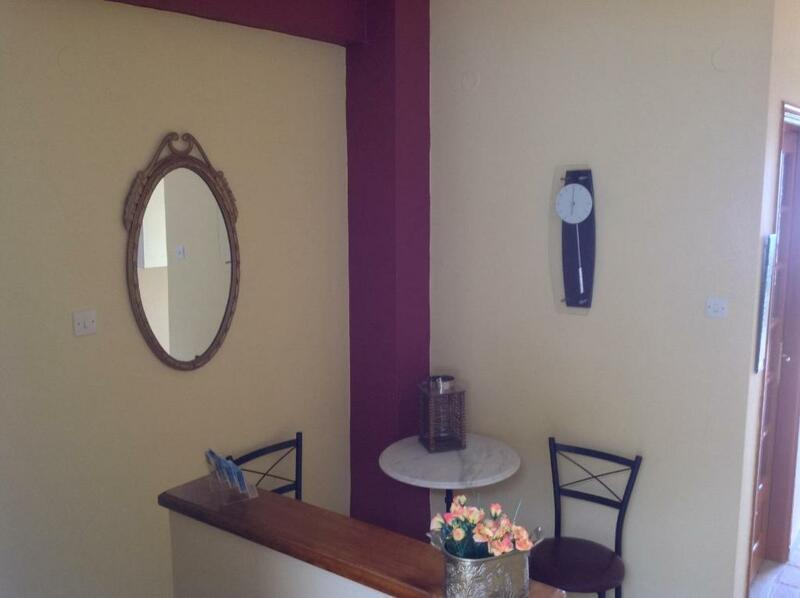 The staffs are very very good, helped me in for all, the apartment is very comfortable, the place is amazing. The best one accommodation ever!!! Thank you for everything Mrs Stravoz. I loved it. Great property and owners were so positive and helpful. They made us feel like long lost friends. The owners were very friendly and efficient in every way possible which we found good considered the language barrier on both sides. The studios are modern in a traditional style and all areas are kept immaculate. 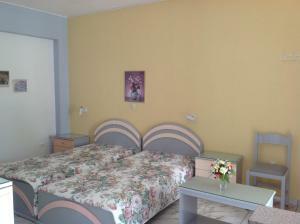 Bedding and towels were provided which were of a good quality and spotlessly clean. The views and ambience of the property are exceptional. Overall in our opinion as regular travellers to the Greek Islands hard to beat. Cleanliness was outstanding. Everything was spotless and cleaned daily. Nice outdoor areas to eat or relax in. Property was in a quiet location. Beach was only a short 5 minute walk away although the path is steep. Staff were fantastic. Very friendly and hospitable hosts. Room kept extremely clean - sheets and towels frequently changed. Beds comfortable. Facilities perfectly adequate. Very quiet location. Stunning views. Lovely, very empty beach just below the accommodation. Excellent tavernas within easy reach, though car advisable for getting into the town. Lock in a great price for Travlos Studios – rated 9.5 by recent guests! 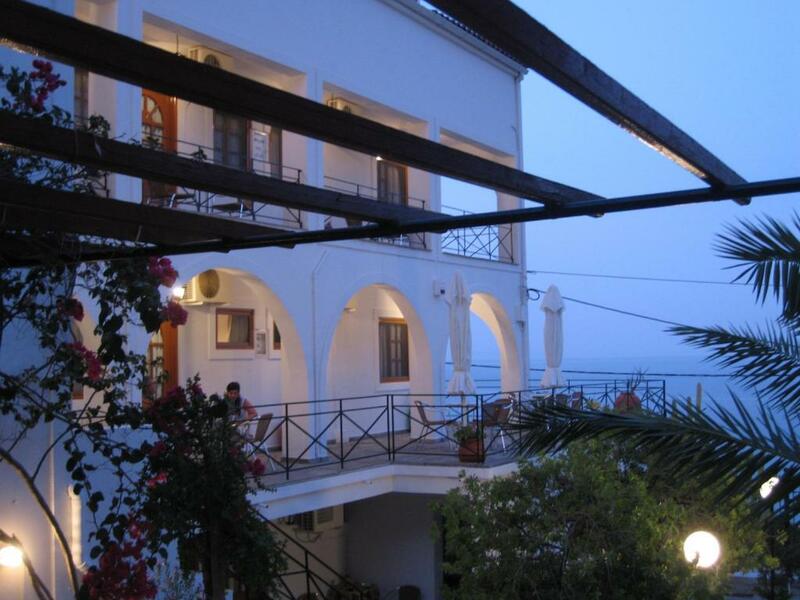 Backed by green mountains and right before the seafront, Travlos Studios offers self-catered studios with balconies. 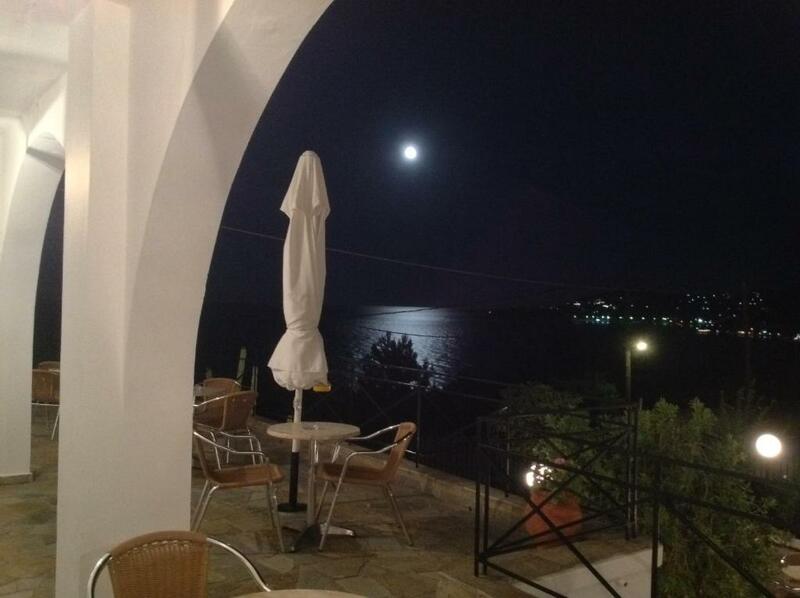 Located on the outskirts of Poros in Kefalonia, this hotel is only 250 feet from the beach. 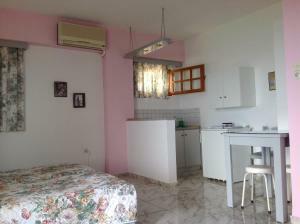 Studios Travlos come with a kitchenette with fridge, and are all equipped with air conditioning and a TV. Balconies open to views of the sea or the mountains. Offering free Wi-Fi and free private parking. Guests are free to use the BBQ facilities that are available in the garden. The picturesque town of Poros is located 25 mi south-west of Kefalonia’s capital. Its port has a lovely main square with taverns, shops and traditional cafes. 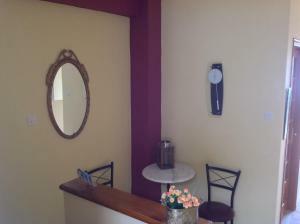 When would you like to stay at Travlos Studios? 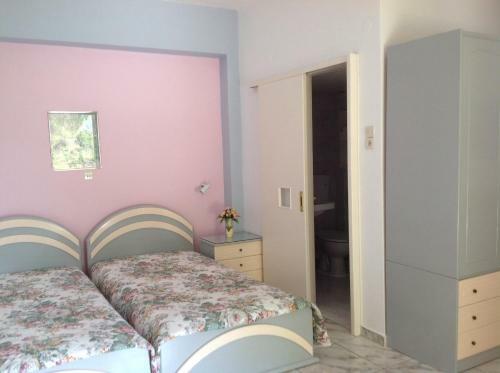 This studio enjoys views of Poros Beach, as well as panoramic views of the village. This studio offers views of the green-covered Atros Mountain. 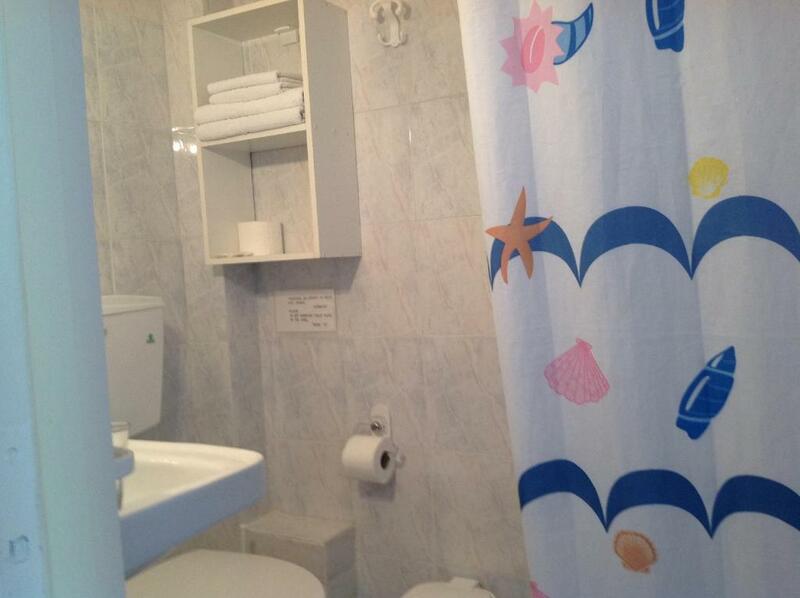 It includes a kitchenette, satellite TV and air conditioning. This studio features air conditioning, kitchenware and tile/marble floor. House Rules Travlos Studios takes special requests – add in the next step! Travlos Studios accepts these cards and reserves the right to temporarily hold an amount prior to arrival. Please inform Travlos Studios of your expected arrival time in advance. You can use the Special Requests box when booking, or contact the property directly using the contact details in your confirmation. Nothing for us it was perfect, but less mobile people and very elderly would struggle with location. The kitchen is equipped with a basic two ring electric hotplate which we were able to use to cook simple fried meat and boiled rice type meals on a couple of days when we did not want to eat out. A microwave oven would be a good addition. The room was spacious, well equipped and spotlessly clean. They hosts were very accommodating eg a) offered to help with booking boats trips and b) after the first night we both reallised that we needed more than the one pillow that had been provided and asked for an extra one each - they were provided immediately. Beds are quite firm. Food preparation facilities are limited and property is not great if you want to do a lot of cooking - but there is an excellent outdoor barbecue which you can use. Long walk to the shops and restaurants if you don't have a car. 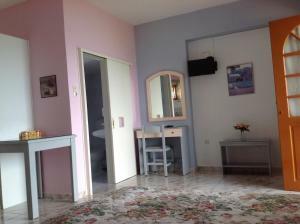 Excellent and friendly staff, amazing views and incredibly clean rooms. Hand held shower, would really like a shower cubicle and a rail. Limited cooking facilities but we didnt plan to cook. Owners were very friendly. Room was spotless with what looked like new blankets and cotton sheets. View is amazing. Excellent value for money.